Influenced by WYCE’s Jammie Awards show, the Local Spins Hot Top 5 for February was packed with familiar names and award-winning regional acts. Listen to the featured acts, check out the latest chart and sample several local debuts in the first Local Spins on WYCE podcast of March 2019. The Earthwork Music singer and her band’s soulful, dance-hued EP soared to the top of the WYCE play rotation the same month it was released. The Gasoline Gypsies and McWeakerton also made their chart debut in December. See the full chart and listen to music from all of the featured releases. Heavy Color retained the top spot on the regional music chart for November, but Heaters and Roosevelt Diggs were right behind with their impressive new releases. View the latest chart, listen to music from all of the featured artists and browse the list of new local additions to the WYCE airplay rotation. The Earthwork Music artists based in Toledo generated a buzz and lots of WYCE radio airplay for their latest collaborative project. See who else made the Local Spins Hot Top 5 for October and listen to music from all of the charted artists. Detroit producer Matt Black’s fetching, trippy release swapped top spots at WYCE-FM with Albion’s The War & Treaty. Check out the rest of the Top 5; listen to music from all of the artists on the September chart. The Albion duo of Michael and Tanya Trotter — The War and Treaty — has impressed critics with its new album, which led the way on a chart that also featured four more new entries, including Peace to Mateo and Joshua Davis. Listen to tracks from all five releases. 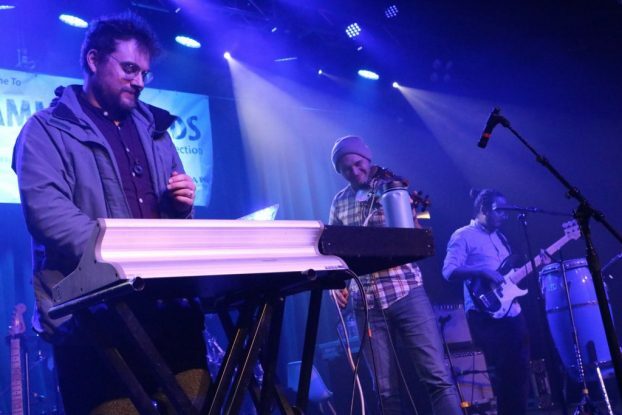 The Grand Rapids indie-rock/pop band has attracted attention local and nationally. Check out the full chart for July which boasts a whole new roster of releases and sample music from the Top 5 artists. The electronic music duo capitalizes on the buzz about its upcoming new release with impressive airplay on WYCE, with Brad Fritcher’s MOODS making its chart debut, too. Fritcher plays a farewell show at SpeakEZ Lounge on Wednesday night. Check out the Hot Top 5 and listen to songs from each of the featured artists. Four of the five local and regional artists on the May chart were also on the list for April, with only Michigander breaking into the Top 5 for the first time. Browse the Top 5 and sample music from all of the featured artists. 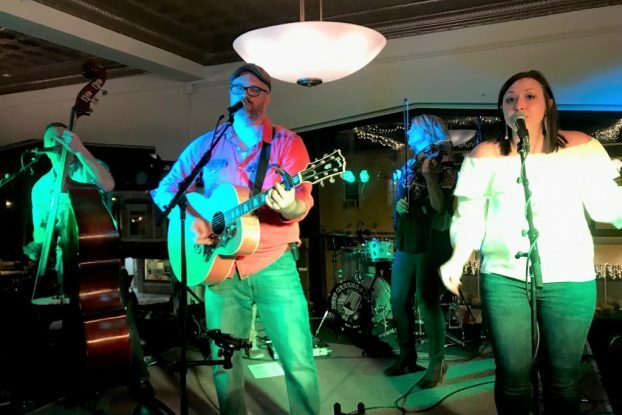 The latest from the Michigan-bred bluegrass outfit led by singer Lindsay Lou Rilko topped all other acts for regional airplay at WYCE, with Vox Vidorra and Lazy Genius also making their chart debut. See the entire Hot Top 5 and listen to tracks from all of the featured artists at Local Spins.